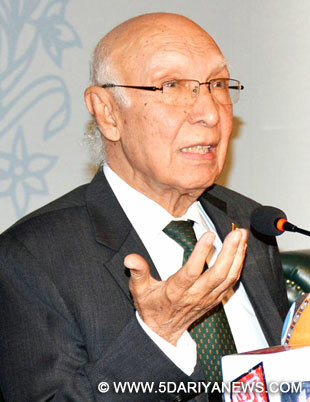 Pakistan's top foreign policy advisor Sartaj Aziz on Saturday said that the International Court of Justice cannot nullify alleged Indian spy Kulbhushan Jadhavs death sentence. "Jadhav had confessed to carrying out terrorist activities inside Pakistan and was a naval officer using a fake passport. He was sentenced according to the country's law," Aziz said while addressing the media in Islamabad.The adviser said India's stance that Pakistan was defeated by the recent International Court of Justice (ICJ) verdict was inaccurate. "A wrong impression was created by Indian media that Pakistan has lost the case," Aziz added.Responding to a question on why no judge was sent on the day of the ICJ hearing, he said the government could not appoint one within a short period of five days. Jadhav was reportedly arrested in a counter-intelligence raid in Balochistan in March 2016.